Explore is a fully bonded Tour Operator licensed by the Civil Aviation Authority (CAA) of CAA House, 45-59 Kingsway, London WC2B 6TE (ATOL number 2595). Many of the holidays on this website for which we include flights, or where you choose to book your flights with Explore, are financially protected by the ATOL scheme. But ATOL protection does not apply to all holiday and travel services listed on this website. If you do not receive an ATOL Certificate then your booking will not be ATOL protected. Explore holiday arrangements not protected by the ATOL scheme will instead be financially protected by ABTOT. Please ask us to confirm what protection may apply to your booking. Visit the ATOL website for more information. When you buy an ATOL protected flight or flight inclusive holiday* from us, you will receive an ATOL Certificate. This lists the flight, accommodation, car hire and/or other services that are financially protected, where you can get information on what this means for you and who to contact if things go wrong. We, or the suppliers identified on your ATOL certificate, will provide you with the services listed on the ATOL Certificate (or a suitable alternative). In some cases, where neither we nor the supplier are able to do so for reasons of insolvency, an alternative ATOL holder may provide you with services you have bought or a suitable alternative (at no extra cost to you). You agree to accept that in those circumstances the alternative ATOL holder will perform those obligations and you agree to pay any money outstanding to be paid by you under your contract to that alternative ATOL holder. However, you also agree that in some cases it will not be possible to appoint an alternative ATOL holder, in which case you will be entitled to make a claim under the ATOL scheme (or your credit card issuer where applicable). 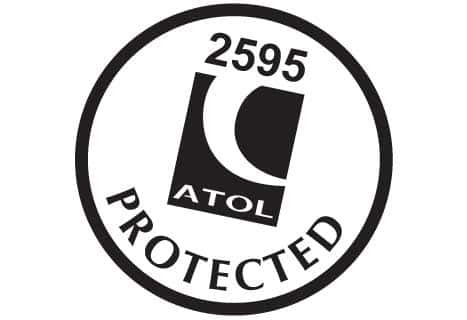 If we, or the suppliers identified on your ATOL certificate, are unable to provide the services listed (or a suitable alternative, through an alternative ATOL holder or otherwise) for reasons of insolvency, the Trustees of the Air Travel Trust may make a payment to (or confer a benefit on) you under the ATOL scheme. You agree that in return for such a payment or benefit you assign absolutely to those Trustees any claims which you have or may have arising out of or relating to the non-provision of the services, including any claim against us, the travel agent (or your credit card issuer where applicable).You also agree that any such claims may be re-assigned to another body, if that other body has paid sums you have claimed under the ATOL scheme. *The flights and flight-inclusive holidays we arrange are ATOL protected providing they are made available in the UK. For further information visit the ATOL website.